You want a dream wedding, but your budget isn’t cooperating. With the average wedding costing around $30,000, it’s smart to get the most for your money. The secret to having the wedding you want while keeping the cost down is prioritizing the things that are important to you. That’s where to spend the money while cutting down on lesser things or eliminating them altogether. With a little bit of thought, you can have the wedding of a lifetime without going into debt. Check out the attached for some great wedding day ideas. 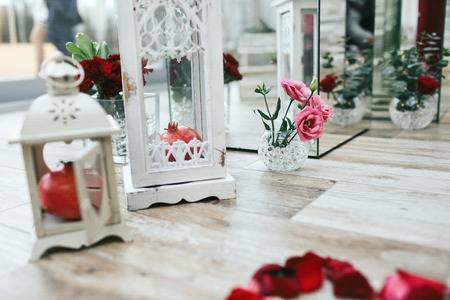 Little touches can make a wedding day special, but some of them can also be eliminated. Save-the-date cards or wedding favors are nice, but guests will hardly notice their absence. Limousines are elegant and fun, but they are also expensive. Will anyone really care if you have a friend drive you to your venues? It’s doubtful. If you absolutely want a special car, rent it and have a friend drive it. You’ll save by not hiring a chauffeur. Some weddings are all about flowers. Fresh, exotic blooms are certainly beautiful, but you will pay for that lovely touch. If you absolutely want to walk down the aisle with flowers, you and your bridal party can hold a single rose or Calla lily. It’s the very essence of elegance. Instead of florals, branches can work beautifully as decorations. Consider clutch bags for your bridesmaids instead of bouquets. It’s a glamorous yet practical solution since they can be used after the wedding. Check out some great alternatives to wedding bouquets. You can also use candles, candelabras, or lanterns as centerpieces instead of costly floral arrangements. Antique stores are a great place to find some inexpensive hidden treasures that can be turned into stunning centerpieces. Every bride wants to feel and look like a magical princess. You can create the look without spending big bucks on a wedding gown. Consider renting a gown or buying a fabulous used one. Vintage consignment shops hold a treasure trove of possibilities. Or consider elegant cocktail dresses for you and your bridesmaids. Have the groom and his men wear dark suits instead of tuxedoes. Wedding cakes can certainly be an artistic masterpiece. And that can be reflected in the astronomical price. The bakery section in your local market will have lovely, customized cakes. It’s doubtful that anyone will be able to tell or care about the difference. Cake is cake, and guests will gobble it up, regardless who baked it. If you are having a home or backyard wedding reception, you probably don’t need to spend a large chunk of your wedding budget on an expensive caterer. A neighborhood family restaurant can very likely provide tasty food, appetizers included, at a nominal price. Chances are, they will be delighted to get the business. If there is a talented cook among your family or friends, have him or her prepare the meal for the reception, perhaps in lieu of a wedding gift. While embossed wedding invitations and wedding programs are elegant, you can save quite a bit of money by printing your own. No one will actually notice or care. Of course, every bride wants to look her best. It’s her big day. A professional makeup artist can certainly provide the bride with perfect makeup. However, most women do have a friend who is especially adept with makeup. Why not put that friend in charge of aesthetics on the wedding day? 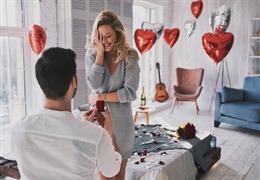 Again, if she is agreeable, this can be arranged in exchange of a wedding gift. Start by making a list of people who are important to you and your fiance. If you rarely see your friends from high school, or if the last time you saw Cousin Kate, she was 10 years old, you needn’t feel obligated to invite them. Ask your parents to remain practical. They undoubtedly have a list of friends whom they’d love to invite. Persuade them to get together with their friends on other occasions. It may not be popular, but you can eliminate most of the “plus ones” when inviting friends. If necessary, be honest and explain you are trying to keep the cost down. Another unpopular choice is to request a “no children” policy. If this policy is enforced for everyone, no one’s feelings should be hurt. If you can’t resist dancing (and who can blame you? ), move on to a club for a dance party that lasts well into the evening. Create a list of guests you’d like to invite. Begin with the “must invites,” such as family. Create a second list of close friends who you really want to be there, and a third list of people you’d like to be there. Work your way inward from the third list and start eliminating. Off with their heads! Chose an off-day and time for your wedding. That usually means a weekday wedding. If you are using a caterer, remember that breakfast and brunch are less expensive than dinners, and buffets are cheaper than sit-down events. Your wedding venue will be one of your largest expenses, but you can save money by being creative. Pick a wedding date and time that is off-season and early on a weekday. These will be your least expensive options for any desirable venue. Consider getting married at city hall and having a celebratory meal at a favorite restaurant. If you can’t resist dancing (and who can blame you? ), move on to a club for a dance party that lasts well into the evening. Legion halls can be turned into a lovely and cost-effective wedding venue. Also, check with any nearby university regarding the availability of one of their large halls. An in-inclusive venue for both the ceremony and reception can save you a great deal of money on decorations and transportation. Arrange to be able to bring your own liquor. 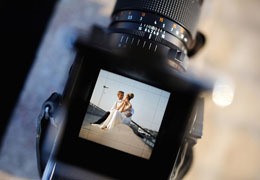 Your wedding pictures will last a lifetime and beyond. They will create memories for you and your family, including your children. Unless you have a friend or family member who is a genius at photography, you may not want to skimp on your wedding photographer. You can, however, save money by putting together your own wedding albums. Music will be a critical part of your reception. People want to be entertained. A live band is expensive. Hire a wedding DJ instead. The music won’t be live, but a talented DJ can keep the crowd excited and dancing. 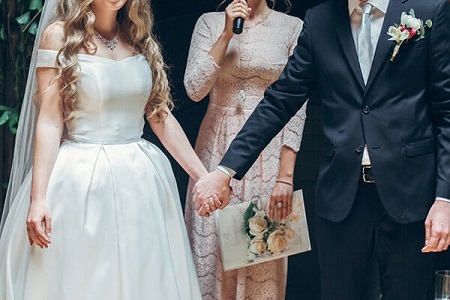 Don’t overlook the importance of the roll a good wedding officiant. He or she will set the tone for your entire wedding ceremony. Officiants can be either religious, secular, or non-denominational. Make sure your wedding officiant is reliable by asking for references. The fact is, anyone can become a licensed wedding officiant through the internet. Some officiants are more experienced with standard wedding vows than do-it-yourself ceremonies. 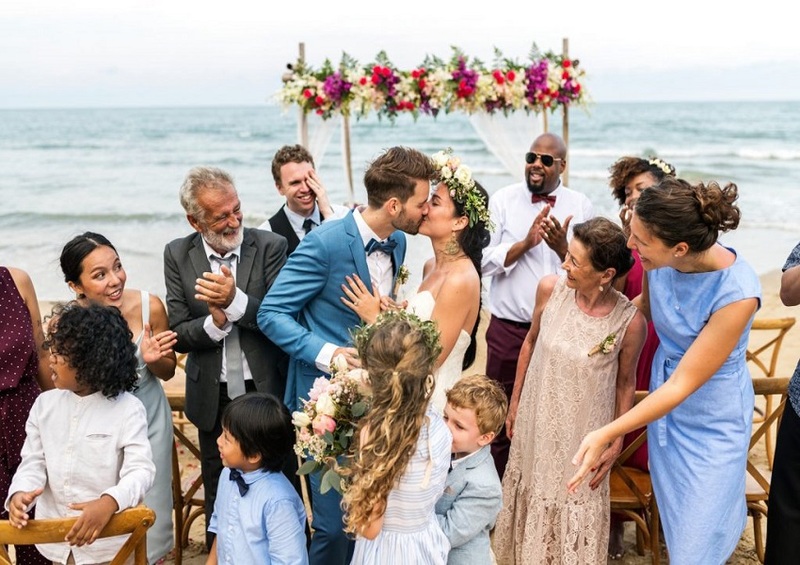 If you want to write your own vows, make sure your officiant has the experience to incorporate and customize your own words into a beautiful ceremony. Make your wedding day special by knowing the things you can eliminate and which elements are necessary to create your dream wedding.